There is more information about red and grey sightings here>> including what to do if you find a sick, injured or dead red squirrel, where urgent action may be necessary. To find out how we use your personal data when you submit a sighting report you should refer to our Privacy Notice>>. Information about how to find a grid reference is given below the reporting form. 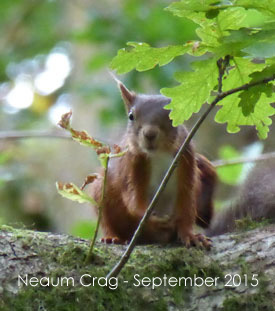 If you’re not sure whether it was a red or grey squirrel you saw, see our quick guide here>>. For sightings in the Grasmere area, please email to: grasmerersg@gmail.com giving date, grid reference, a description of where the squirrel was seen and any other relevant information. 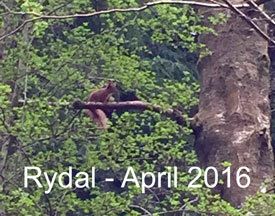 The Grasmere Red Squirrel Group is very keen to have details of any grey sightings as a matter of urgency in order to protect their thriving population of reds. If the reporting form doesn’t load properly, please email your sighting report with date and grid reference to: sightings@westmorlandredsquirrels.org.uk . Either a 6 figure grid reference (eg SD 456 955) or a 10 figure grid reference (eg NY 32916 06136). See below for help. 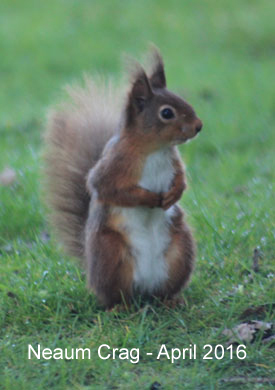 For squirrel purposes, grid references can be either 6 figures (eg SD 406 986) or 10 figures (eg SD 40890 98882). Every British grid reference has a 2-letter prefix to locate it within a specific 100 kilometre square. In our area the prefix will be either SD or NY. Grab a Grid Reference>> is provided by the Bedfordshire Natural History Society so you will need to move the marker from Bedfordshire to Cumbria before making a start. The satellite map with the marker is shown alongside an equivalent Ordnance Survey map. Drag the marker in the left hand satellite map to the spot you saw the squirrel and copy the grid reference (10m square or 100m square) from the right-hand column. UK Grid Reference Finder>> enables you to find a grid reference by using your cursor to pinpoint the location of your sighting on a map, and then right-clicking to produce a pin marking the spot you’ve selected. Left-clicking on the pin will then show its grid reference in a tag. The satellite view is easier to work with once you’ve zoomed in. Just copy your grid reference from the tag and paste it into your sighting report or record.